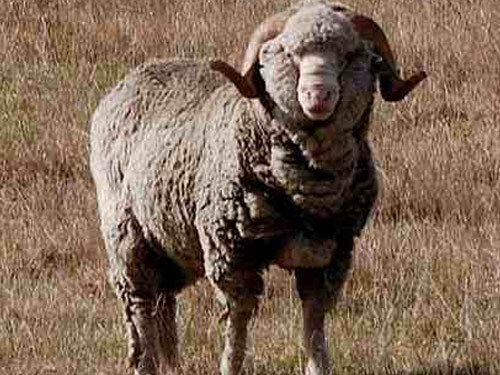 Booroola Merino sheep were developed on the Southern Tablelands of New South Wales, Australia. They differ from normal Merino in two ways. First, they are more fertile; their fertility is as high as any breed in the world. The number of lambs born per ewe lambing is 2.4, with a range of 1 to 6. Half-Booroola ewes on average wean 20 percent more lambs than comparable Merinos under the same conditions. Secondly, Booroolas have the ability to breed at most times of the year, thus extending the breeding season. The high profligacy of the Booroola Merino is due to the action of a single gene. Booroola actually refers to a gene called the B gene (also called F for fecundity). The B gene can be transferred into any breed sheep and does not appear to be influenced by nutrition.